Both the Gentry Creek Ranch and the Pfluger family have a long history in Kimble County beginning shortly after the Civil War. In the 1870’s, despite Kimble County’s reputation for being full of outlaws, Walter&#8217;s great-great grandfather drove cattle here from Pflugerville. 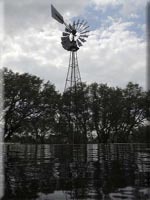 Charley Pfluger pastured in the London, Texas area, about 15 miles from the Gentry Creek Ranch. Cattle thieves eventually hit Charley’s herd so hard that he was forced to make a choice: he had to kill them or move his cattle. Not wanting to kill someone, Charley moved back to the Pflugerville. 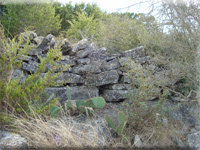 In the 1800’s part of the ranch was owned by the Wilson brothers who owned the Alamo National Bank in San Antonio. Doing business as the Wilson Land & Livestock Company, they owned ranches from South Texas to Montana. Today their pastures on the Gentry Creek Ranch are referred to as the “LC” pastures. The Livestock Company later became the Western Union Beef Company headquartered in Denver, Colorado. Western Union Beef is noted for their black cowboys. At one time in the 1800’s it was said that Western Union Beef Company raised more than 10,000 calves, not to mention their steers. Western Union Beef cowboys drove cattle to Fort Worth and Amarillo to sell them in Colorado. In June of 1891, cattle owned by Western Union Beef were the subject of a United States Supreme Court case styled: Mullen v. Western Union Beef Company, 173 U.S. 116 (1899). 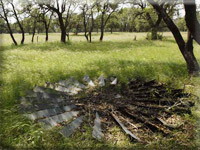 It is likely that cattle involved in this case either originated on or passed through the Gentry Creek Ranch. 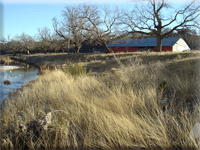 Another historical part of the ranch is the Gorman homestead on which is located Gorman draw and Gorman Spring. Gorman spring is an important watering hole for the ranch. On March 8, 1878, the Gorman family homestead became an imbedded piece of Kimble County history when Deputy Newton Sam Gorman was killed in a gunfight in front of the Kimble County courthouse. Deputy Gorman arrove at the Courthouse square to intervene in a dispute between two cousins and a third man over a yoke of oxen. After being wounded in the chest, Deputy Gorman shot one of the cousins. When the dust finally settled, Deputy Gorman and all the other men were dead. 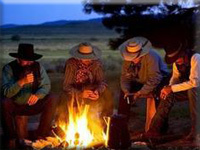 Sample text wild west: one time in the 1800’s it was said that Western Union Beef Company raised more than 10,000 calves, not to mention their steers. Western Union Beef cowboys drove cattle to Fort Worth and Amarillo to sell them in Colorado. In June of 1891, cattle owned by Western Union Beef were the subject of a United States Supreme Court case styled: Mullen v. Western Union Beef Company, 173 U.S. 116 (1899). It is likely that cattle involved in this case either originated on or passed through the Gentry Creek Ranch. 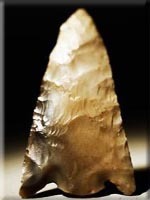 Sample text indians: one time in the 1800’s it was said that Western Union Beef Company raised more than 10,000 calves, not to mention their steers. Western Union Beef cowboys drove cattle to Fort Worth and Amarillo to sell them in Colorado. In June of 1891, cattle owned by Western Union Beef were the subject of a United States Supreme Court case styled: Mullen v. Western Union Beef Company, 173 U.S. 116 (1899). It is likely that cattle involved in this case either originated on or passed through the Gentry Creek Ranch. Sample text rock wall: one time in the 1800’s it was said that Western Union Beef Company raised more than 10,000 calves, not to mention their steers. Western Union Beef cowboys drove cattle to Fort Worth and Amarillo to sell them in Colorado. In June of 1891, cattle owned by Western Union Beef were the subject of a United States Supreme Court case styled: Mullen v. Western Union Beef Company, 173 U.S. 116 (1899). It is likely that cattle involved in this case either originated on or passed through the Gentry Creek Ranch. Sample text windmill: one time in the 1800’s it was said that Western Union Beef Company raised more than 10,000 calves, not to mention their steers. Western Union Beef cowboys drove cattle to Fort Worth and Amarillo to sell them in Colorado. In June of 1891, cattle owned by Western Union Beef were the subject of a United States Supreme Court case styled: Mullen v. Western Union Beef Company, 173 U.S. 116 (1899). It is likely that cattle involved in this case either originated on or passed through the Gentry Creek Ranch. Sample text homestead: one time in the 1800’s it was said that Western Union Beef Company raised more than 10,000 calves, not to mention their steers. Western Union Beef cowboys drove cattle to Fort Worth and Amarillo to sell them in Colorado. In June of 1891, cattle owned by Western Union Beef were the subject of a United States Supreme Court case styled: Mullen v. Western Union Beef Company, 173 U.S. 116 (1899). It is likely that cattle involved in this case either originated on or passed through the Gentry Creek Ranch.